The two-color shawls seem to be everywhere. You can't escape them these days. And you know how I get with the knitting sometimes. Everyone else is doing something and then I jump right on the bandwagon and start knitting like a crazy woman. It's Scalene. 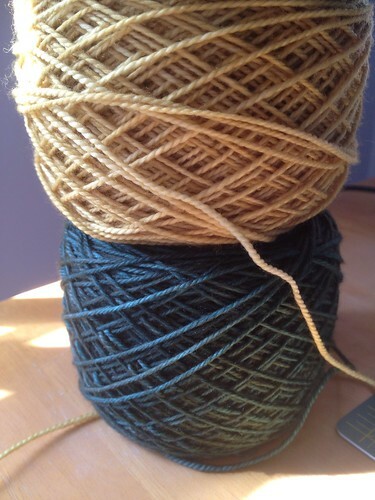 This pattern sold me over all the other two-color shawls out there due to it's awesome keyhole goodness. I think this one is going to be fun to knit and fun to wear. 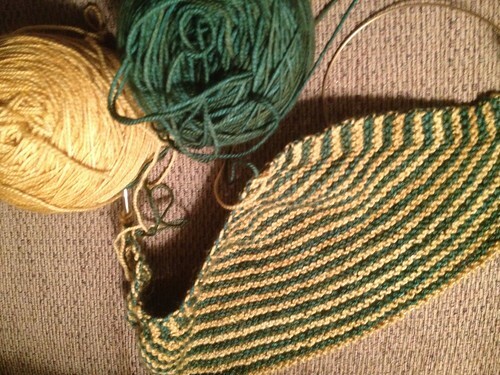 I am knitting mine out of one skein of Madelinetosh Tosh Sock and one skein of String Theory Caper Sock. Yum and yum! 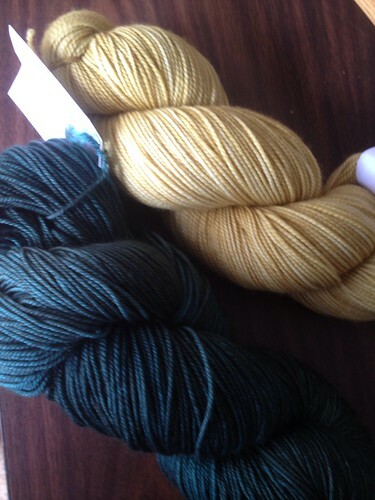 Have you knit any of these two-color shawls lately? If so, which ones? If not, are there any that catch your eye?